“He was known for his warmth, his good nature, his boisterous laugh and his iconic moustache,” a web article on CTV Montreal says. In lieu of flowers, Randy Tieman's family asks that memorial donations be sent to the Jewish General Hospital Foundation-Cancer Treatment. 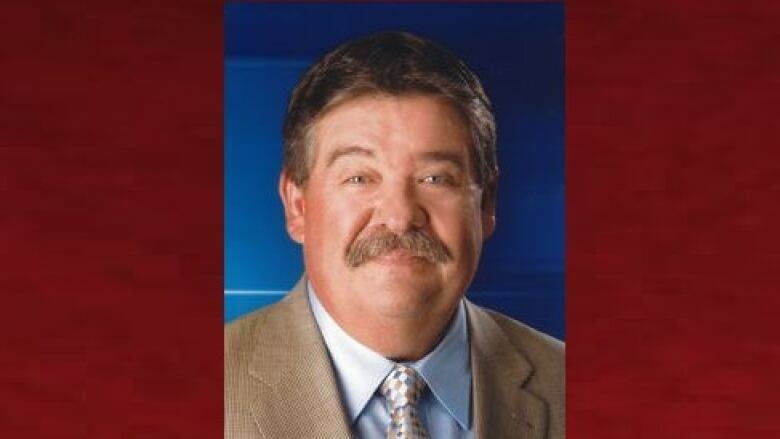 Longtime CTV sportscaster Randy Tieman has died at the age of 64. According to the private broadcaster, Tieman worked at CTV Montreal for 34 years, until 2017, as a reporter and anchor. "He was known for his warmth, his good nature, his boisterous laugh and his iconic moustache," says a web article from CTV Montreal. Tieman passed away suddenly in his home on Friday. He is survived by his wife of more than 30 years, Liane, and his children Gabrielle, Jesse, Dennis and Harry. Tieman was born in the small town of Exeter, Ont., and graduated from the broadcast journalism program at Fanshawe College in London, Ont. He then worked at various radio stations in Ontario, as well as CFCF radio in Montreal, before joining CTV Montreal. In lieu of flowers, Tieman's family asks that memorial donations be sent to the Jewish General Hospital Foundation-Cancer Treatment.